How was the Heavenly Kingdom Formed? How Many Elect Classes in the Kingdom? What Will the Earthly Kingdom Accomplish? Will the Earthly Kingdom Last Forever? Is Israel's Return a Harbinger of it? "Thy kingdom come. Thy will be done in earth, as it is in heaven" (Matt. 6:10). FOR centuries Christian people have prayed earnestly to God, the Heavenly Father, for His Kingdom to come and His will to be done on earth, as it is in heaven. This is a proper prayer, authorized by His Son Jesus Christ Himself; and the Scriptures give ample assurance that God will answer it in due time. In fact, one of the main purposes of Jesus' second coming to earth is, as God's Representative, to establish His everlasting Kingdom throughout the earth, "under the whole heaven," with its glorious reign of peace, righteousness and truth (Dan. 7:13, 14, 18, 22, 27; 2:35, 44, 45; Acts 3:20, 21; Rev. 11:15; Isa. 9:6, 7; Luke 1:32, 33). The Bible gives much prominence to the Kingdom of God. This expression, and the synonymous expression, Kingdom of Heaven, occur nearly 150 times in the New Testament alone. Nearly all of Jesus' teachings pertain to the Kingdom, either heavenly or earthly, or both. Many hold the unscriptural thought that Messiah's Kingdom consists merely of a sovereignty in the hearts of His followers, in the present life. True, the Church in the suffering condition, in the Gospel Age, is sometimes called the Kingdom in the Scriptures (e.g., Matt. 11:12); but to deny that additionally there is a future Kingdom of God yet to be established worldwide (Psa. 72:8), in which the will of God will be done on earth, as it is in heaven, and in which Jesus and the Church are to reign over the earth (Rev. 5:9, 10), is to make void and meaningless the strongest and most pointed promises set forth by Jesus, the Apostles and the Prophets. In telling us to pray for God's Kingdom to come and His will to be done on earth, even as it is in heaven, Jesus had a special object. He meant that we should have in mind God's glorious promise that Messiah's Kingdom will be set up in power and great glory after His second coming, and that through it ignorance, sin and death will all be overthrown, and the willing and obedient of mankind will be released from these, until every knee shall bow and every tongue confess that Jesus Christ is Lord, to the glory of God (Isa. 25:7-9; 45:22, 23; Rom. 8:19-22; 14:11; Phil. 2:9-11). Jesus evidently meant that we should connect the Kingdom of God with the great promise made to Abraham, "In thy seed shall all the families of the earth be blessed" (Gen. 12:3; 22:16-18; Gal. 3:8, 16, 29). His teaching, the message which He commissioned His people to give in His name, is the Gospel of the Kingdom (Matt. 24:14)—the message of salvation for the Church and the world (1 John 2:2; John 10:16). From this promise to Abraham (and many other Scriptures, some of which will be mentioned later on) we learn that the Kingdom of God, for which we pray, is to have two parts or phases—a heavenly, spiritual phase ("as the stars of the heaven") and an earthly phase ("as the sand which is upon the sea shore"); and in these two phases of God's Kingdom, in Abraham's star seed and in his sand seed, as God promised in His Oath-bound Covenant, "shall all the nations of the earth be blessed" (Gen. 22:16-18; 13:16; 15:5; 26:4; 28:14; 32:12; Heb. 6:13-18). This is indeed the Bible's definition of the "gospel"—the "good tidings of great joy, which shall be to all people" (Luke 2:10-14); for "the scripture, foreseeing that God would justify the heathen through faith, preached before the gospel unto Abraham, saying, In thee shall all nations be blessed" (Gal. 3:8). For many centuries the Jewish nation had been waiting for the fulfillment in them of God's promise to Abraham—that they would become great, and that through them God's blessing would extend to all nations. He had promised that if they would obey Him and keep His covenant, they would be to Him a kingdom of priests and a holy nation (Ex. 19:5, 6). Israel as a people, having had instruction and preparation under the Law Covenant, was the most religious and best-instructed nation in the world at the time of Jesus' First Advent. John the Baptist and Jesus and His disciples then preached to them, "the kingdom of heaven is at hand" (Matt. 3:2; 4:17; 5:10; 10:7; Mark 1:14, 15), thus signifying that the privilege of being of the heavenly, spiritual seed of Abraham, God's "kingdom of priests," the chief favor in the promise, was theirs if they were ready, if they were indeed a holy nation. But they were looking for a great deliverer who would free them from the Roman yoke, and set up again the kingdom in Israel, in power and great glory, to bless all the other nations. They thought of the Kingdom of God as only an earthly kingdom, and therefore Jesus' teaching of a heavenly kingdom was difficult for them to accept, even as many today think of God's Kingdom as being only a heavenly kingdom, and therefore the Scriptural teaching of an earthly phase of the Kingdom is difficult for them to accept. The Jewish nation was not ready. Only a foretold small remnant of them (Isa. 1:9; Rom. 9:27; 11:5), which at the close of Jesus' ministry numbered only about 500 saintly ones (1 Cor. 15:6)—"Israelites indeed" (John 1:47), at heart fully consecrated to God—accepted the gospel message. To the nation as a whole (which did not accept the message), our Lord declared, "The kingdom of God shall be taken from you, and given to a nation bringing forth the fruits thereof" (Matt. 21:43). Accordingly, shortly before His crucifixion He said to them: "Your house is left unto you desolate. … Ye shall not see me henceforth, till ye shall say, Blessed is he that cometh in the name of the LORD [Jehovah]" (Matt. 23:37-39). A few days later, the multitude of Jews cried, "Crucify him!" while the godless Pilate inquired, "Why, what evil hath he done?" Most evidently, therefore, the Jewish people in general were not ready to become the spiritual seed of Abraham that is to be used of God in the blessing of the other nations. The Kingdom privileges and favors were transferred from "Israel after the flesh" (1 Cor. 10:18) to the fruitful nation—Spiritual Israel, the spiritual Kingdom class, whose existence as such began at Pentecost. All "Israelites indeed" of the fleshly house were privileged to become members of the spiritual house (John 1:12; Rom. 11:7)—to receive the begetting of the holy Spirit and induction into "the church, which is his [Christ's] body" (Rom. 12:5; 1 Cor. 10:17; 12:12-27; Eph. 1:22, 23; 3:6; 4:12; Col. 1:24). Of this church St. Peter writes, "Ye are a royal [kingly] priesthood, an holy nation, a peculiar people" (1 Pet. 2:9; comp. Ex. 19:5, 6). A remnant of the Jews, the Israelites indeed, was found worthy of being in this holy nation, Spiritual Israel. The other Jews, nominal Israel, were found unworthy, and were broken off as figurative branches in the tame olive tree, the elect nation; and in their places believing and consecrated Gentiles, as figurative wild olive branches, began to be grafted in, and thus were enabled to become parts of the true elect nation, Spiritual Israel, destined to have the highest favors under the Abrahamic Covenant (Rom. 11:16-24). Beginning with Cornelius (Acts 10:1-48) and continuing during the Gospel Age, God "did visit the Gentiles, to take out of the them a people for his name," to be, together with the Israelites indeed, the spiritual seed, "as the stars of the heaven"; and God says that "after this [after visiting the Gentiles and completing the Gentile spiritual elect] I will return [favor to mankind in general], and [in order to exercise it] will build again the tabernacle of David [erect again the family of David to royalty, in the Messiah as King], which is fallen down; and I will build again the ruins thereof [Israel has been in ruins as a kingdom since losing its royal family as rulers in Zedekiah's day, in 607 B.C. ; but in Messiah's Millennial reign the earthly kingdom will be restored to them], and I will set it up [as the ruling house over the world]" (Acts 15:14-16). Also, Rom. 11:25-27 shows that Fleshly Israel was cast off from Divine favor only until the completion of the spiritual Kingdom class; and v. 20 shows that it was because of their unbelief, their failure to appreciate the Messiah and the offer of entering into the spiritual Kingdom class (Matt. 23:13), that they were cast off. "Blindness [or, hardness] in part is happened to Israel," but not everlastingly. It was to be only "until the fullness of the Gentiles [the full number of the spiritual elect Kingdom class to be selected from among the Gentiles during the Gospel Age] be come in." God promised that then His favor would return to Israel: "And so all Israel shall be saved [from their blindness and from the Adamic condemnation—including those dead as well as the living (Luke 2:34)]: as it is written, There shall come out of Zion the Deliverer [the Christ, Head and Body], and shall turn away ungodliness [their Gospel-Age blindness or hardness] from Jacob [Fleshly Israel] for this is my covenant unto them [the New Covenant will write God's laws into their hearts and minds; comp. Jer. 31:31-34; Ezek. 36:25, 26], when I shall take away their sins [by the application of Christ's Ransom-merit to satisfy Divine justice on their behalf, whereby they will be saved from the Adamic sentence; comp. Ex. 24:8; Heb. 9:19]." Following the Apostle James's statements in Acts 15:14-16, quoted above, he shows (v. 17) that the re-establishment of the earthly kingdom to Israel is for a specific purpose: "That the residue of men [the remainder left after the elect have been taken out, i.e., the non-elect] might seek after the Lord [for salvation, after the earthly phase of the Kingdom is established Millennially], and [even; the Greek word kai may also be so translated] all the Gentiles [Greek, nations; all non-elect people], upon whom my [God's] name is called [not the people for His name, the elect, mentioned in v. 14, who carry His name as their family appellation, but the non-elect, the world of mankind in general, upon whom His name is called by virtue of the Ransom which He provided (John 3:16) and which makes them His property by right of purchase, His name being written on them, even as the owner of a piece of property has his name upon it]." The Apostle Paul explains that the great antitypical High Priest, Christ Jesus, "is not entered into the holy places made with hands [the Holy and the Most Holy of the Tabernacle in the Wilderness], which are figures [types] of the true; but into heaven itself [at the time of His ascension], now to appear in the presence of God [at the antitypical Mercy Seat, to satisfy Divine justice] for us [the Church]" (Heb. 9:24). But He is the propitiation, not only "for our [the Church's] sins" "but also for the sins of the whole world" (1 John 2:2); and at His Second Advent He "shall appear the second time without sin [a sin-offering; Jesus at His First Advent was 'without sin'—Heb. 4:15; 7:26—but He died in the sinner's place; God 'made him to be sin—a sin-offering—for us, who knew no sin; that we might be made the righteousness of God in him'—2 Cor. 5:21; and at His Second Advent He appears the second time, without a sin-offering] unto salvation" (Heb. 9:28). Thus the offer of salvation in God's Kingdom comes first to the spiritual elect Church, during the Gospel Age. They are the "heirs of the kingdom which he hath promised to them that love him" (James 2:5). In the early part of Jesus' Second Presence, a 1,000-year period, He first delivers and exalts His Bride, the Lamb's Wife, His "little flock" of 144,000 Body members, to whom He promised the chief place in the heavenly phase of the Kingdom, the privilege of reigning with Him "the thousand years" "on the earth" (Matt. 26:29; Luke 12:32; 22:29, 30; 2 Tim. 2:12; Rev. 3:21; 5:9, 10; 14:1-4; 19:7; 20:4, 6). They obtain salvation in its fullness in "the first resurrection," when they are given immortality, "the divine nature," made like their Lord and Savior, spirit beings, invisible to men's physical eyes (2 Pet. 1:4; 1 John 3:2; John 14:19; 1 Tim. 1:17; 6:16). Next our Lord delivers and exalts the secondary spiritual elect class, the secondary part of the "church of the firstborn, which are written in heaven" (Heb. 12:23). These are "the great multitude" of tribulation saints, those Gospel-Age, Spirit-begotten new creatures who were not faithful enough to be of Christ's Bride but, having "washed their robes, and made them white in the blood of the Lamb," are found worthy to be "the virgins her companions," who "enter into the king's palace" with "gladness and rejoicing" and are given a place, not in the throne, but "before the throne of God," and are privileged to "serve him day and night in his temple" (Psa. 45:14, 15; Rev. 7:9-17). The Great Company as a class is being prepared for a place in the Kingdom in "the time of the end," when many, as foretold, are running to and fro as never before, and knowledge has been increased very greatly, and when we are in the resultant "great tribulation" (which began in 1914), the present great "time of trouble, such as never was since there was a nation even to that same time"—"no, nor ever shall be" (Rev. 7:14; Dan. 12:4, 1; Matt. 24:21). This class of God's elect is completed, perfected and exalted in this great harvest time with which the Gospel Age and "this present evil world" are ending (Gal. 1:4; Matt. 13:39-43, 49, 50). Additionally, during this same tribulation period our Lord develops, delivers and exalts the Youthful Worthies, the fourth class of God's elect. These are to be associated in nature and reward with the Ancient Worthies—God's faithful servants of Old Testament times, from Abel to John the Baptist, described in Heb. 11, "of whom the world was not worthy." The Ancient and Youthful Worthies together will constitute the main part, the ruling part, of the earthly phase of the Kingdom which is to bless all mankind. Jesus showed that the Ancient Worthies will be in the earthly phase of the Kingdom when He instanced John the Baptist and explained that the "least in the kingdom of heaven [the spiritual phase of the Kingdom] is greater than he" (Matt. 11:11). Also, He spoke of Abraham, Isaac and Jacob, and all the prophets, as being seen in the Kingdom by other humans (Luke 13:28), hence in its earthly, visible phase. Jesus and the Little Flock, the 144,000, will be the invisible rulers of the Millennial Kingdom. They will be assisted by the Great Company on a spirit plane of being as subordinate invisible rulers. These two classes will be the invisible, heavenly phase of the Kingdom. It will supplant the invisible kingdom of "this present evil world"—the kingdom of Satan and his angels (Matt. 12:24-28; Luke 4:5-7; John 14:30; 16:11; 18:36; 2 Cor. 4:4; Gal. 1:4; Eph. 2:2; 6:11, 12; Col. 1:13). The King of light and glory supplants the prince of darkness and sin (Rev. 11:15). Jesus showed that the Rulers in the heavenly phase of the Kingdom would in their reign on earth be invisible to men's physical eyes, e.g., when He replied to the Pharisees' demand as to when the kingdom of God would come. He told them, "The kingdom of God cometh not with observation [with outward show, margin]. Neither shall they say [men will be unable to point out these rulers to their fellows, saying], Lo here! or, lo there! for, behold, the kingdom of God is within you [literally, in your midst]" (Luke 17:20, 21). Thus He showed that when His Kingdom would rule on earth, its Rulers would be present and powerful, yet invisible to men's physical eyes, just as God and Jesus (John 1:18; 14:19; 1 Tim. 1:17; 6:16) and the angels of God are now invisible to men. The Ancient Worthies and the Youthful Worthies will be the visible, earthly representatives of the invisible Kingdom. The two phases of the Kingdom, the heavenly and the earthly phases, are frequently referred to in the Scriptures (e.g., 1 Cor. 15:40) as separate and distinct. In some passages they are represented in Zion and Jerusalem respectively. Isa. 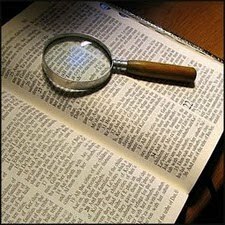 2:2-4, which we will examine in detail later, states: "Out of Zion shall go forth the law, and the word of the LORD from Jerusalem." Isa. 62:1, 2 states: "For Zion's sake will I not hold my peace, and for Jerusalem's sake I will not rest, until the righteousness thereof go forth as brightness, and the salvation thereof as a lamp that burneth. And the Gentiles [the nations; mankind in general] shall see thy righteousness, and all kings thy glory and thou shalt be called by a new name, which the mouth of the LORD shall name." Joel 2:32 reads: "And it shall come to pass, that whosoever shall call on the name of the LORD shall be delivered: for in mount Zion and in Jerusalem shall be deliverance, as the LORD hath said, and [even] in the remnant whom the LORD shall call." In other passages the two phases of the Kingdom are pictured in other ways: In Psa. 107:32 we read: "Let them exalt him [God] also in the congregation of the people [primarily the Little Flock, secondarily the Great Company], and praise him in the assembly of the elders [the Ancient and Youthful Worthies]." In Isa. 32:1 we read: "Behold, a king [the Christ, Head and Body—Rev. 20:4, 6] shall reign in righteousness, and princes [the Ancient and Youthful Worthies] shall rule in judgment [in harmony with the doctrinal teachings of the great King]." Psa. 45:16 shows that these princes will be in the earthly, visible phase of the Kingdom, "princes in all the earth." Furthermore, the two phases of the Kingdom are illustrated symbolically and beautifully in Zech. 14:4, 5: "And his [the LORD'S — Jehovah's; see v. 3] feet shall stand [signifying the return of His favor and the re-establishment of His dominion on earth] in that [Millennial] day upon the mount of Olives [the Kingdom of light, peace and Divine blessing], which is before Jerusalem on the east [toward the sunrise], and the mount of Olives shall cleave in the midst thereof toward the east and toward the west [thus opening the way for the Sun of Righteousness—Mal. 4:2; Matt. 13:43—to shine in between the two cleft parts], and there shall be a very great valley [the Valley of Blessings, God's Kingdom on earth, filled with the light of truth and righteousness, shining upon all mankind, free from all shadows of sin and death]; and half of the mountain [the spiritual phase of the Kingdom—the Little Flock and the Great Company] shall remove [from earthly to heavenly conditions] toward the north [toward the Pleiades, the supposed seat of the Divine empire—Job 38:31; Psa. 48:2; 75:6, 7; Isa. 14:13, 14], and half of it [the earthly phase, the Ancient and Youthful Worthies] toward the south [complete restitution to perfect human life in the earthly phase of the Kingdom]." Then all who become Millennial Israelites indeed, "the people of God," will flee for their lives to this valley of mercy. Thus will Jehovah come in His blessings for the world of mankind at the hands of all His holy ones, who (as Abraham's seed) will be united with Him in blessing all the families of the earth. Joel 2:28, 29 shows that "afterward" (after the Gospel Age with its Time of Trouble and its Harvest, described in the context) God will pour out His holy Spirit for all flesh, so that the non-elect world of mankind, the "residue of men," might be given their thousand-year Judgment Day, in which they will be saved from the Adamic condemnation and given their opportunity to learn the Truth, to hear of the name of Jesus, the only name under heaven given among men, whereby we must be saved (Acts 4:12; 17:31; 2 Pet. 3:7, 8; 1 Tim. 2:4; 2 Tim. 4:1; John 1:9; 12:32; Isa. 11:9). Then, in the Millennial Age, Christ's "sons" (the stronger ones) and "daughters" (the weaker ones; comp. Isa. 60:4) in "the times of restitution of all things" (Acts 3:19-21) will "prophesy" (speak forth the truth—Psa. 107:22), and "your old men [Heb., zekenim; translated 'ancients' in Isa. 24:23, where the same class is indicated] shall dream dreams [receive revelations of the deeper truths in God's Kingdom on earth], your young men [literally, 'youthfuls'—the Youthful Worthies, the other class of the sand seed] shall see visions [receive revelations of the simpler truths]: and also upon the servants [the Little Flock] and upon the handmaids [the Great Company] in those [Gospel-Age] days [wherein the two spiritual classes for the spiritual phase of the Kingdom, the star seed, are perfected] will I pour out my spirit." Here, in addition to the non-elect sons and daughters of restitution, are mentioned separately the four elect classes: two (the Ancient Worthies and the Youthful Worthies) for the earthly phase of the Kingdom and two (the Little Flock and the Great Company) for the heavenly phase of the Kingdom. The four elect classes are indicated also in the four couples saved through the waters of Noah's Flood (a type of the curse upon the earth) in the Ark (a type of the Abrahamic Covenant). Noah and his wife represent Jesus (Heb. 11:7) and the Little Flock, who as the Second Adam and Eve will regenerate the world of mankind "in the regeneration when the Son of man shall sit in the throne of his glory" (Matt. 19:28; 1 Cor. 15:45). Noah's three sons (Shem, Ham and Japheth) and their wives, represent the Ancient and Youthful Worthies and the Great Company in their leaders and followers (Gen. 7:13; 1 Pet. 3:20). The Priests, encamped to the east of the Tabernacle, type the Royal Priesthood, the Christ, Head and Body; and the three groups of Levites—the Kohathites, Gershonites and Merarites—encamped on the other three sides of the Tabernacle, type respectively the other three classes of God's elect (just mentioned in the preceding paragraph) as a part of Abraham's seed in its larger sense. They will assist the Royal Priesthood in blessing all the families of the earth, pictured in the twelve tribes of Israel, encamped about the Tabernacle at a greater distance. The four elect classes are pictured also in the two mountains and the two hills that will bring peace to the world of mankind by righteousness (Psa. 72:3; Isa. 55:12). Literal Jerusalem was built upon two mountains, Zion and Moriah, and upon two hills, Akra and Bezetha. Zion and Moriah represent the heavenly and the earthly phases of the Kingdom respectively — i.e., the Christ, Head and Body, and the Ancient Worthies, as the two higher powers of the Kingdom (see Psa. 72:16; Isa. 2:2—"the top of the mountains"). Akra and Bezetha represent the tributary (subordinate) powers of the Kingdom, i.e., the Great Company and the Youthful Worthies. As Moriah was the first height of literal Jerusalem to be built by the Israelites, so the Ancient Worthies were the first part of the Kingdom to be developed. And as Zion was the second height of this city to be built by the Israelites, so the Little Flock was the second part of the Kingdom to be developed. As the hill Akra was the third height of Jerusalem to be built by the Israelites, so the Great Company is the third class among the powers (a subordinate power) of the Kingdom to be developed (Rev. 7:9-17). And as the hill Bezetha was the fourth and last height of Jerusalem to be built by the Israelites, so the Youthful Worthies are the last one of the powers (the other subordinate power) of the Kingdom to be developed. The world of mankind to be blessed by these two symbolic mountains and their tributary hills are symbolized by the valley sections of literal Jerusalem. Isa. 60:13 also shows the four classes of Abraham's elect seed, that are to bless the world of mankind in the coming Kingdom: "The glory of Lebanon [Lebanon means white, and its evergreen trees, the glory of Lebanon, represent the righteous as antitypical Levites; Psa. 92:12, 13] shall come unto thee [the antitypical Levites will be brought to the Priesthood, the Christ, Head and Body; Num. 3:6-9], the fir tree [the Ancient Worthies], the pine tree [the Great Company], and the box [box tree; the Youthful Worthies] together [rendering a co-operative service], to beautify the place of my sanctuary [a Levitical work; Num. 3:6-9; 8:19]; and I will make the place of my feet ['earth is my footstool'; Acts 7:49] glorious ['all the earth shall be filled with the glory of the LORD'—Num. 14:21]." Dan. 3:1-30 presents the three of the four elect classes that live here in the end of the Gospel Age, namely, the Little Flock (Shadrach, royal, suggesting the Royal Priesthood; 1 Pet. 2:9), the Great Company (Meshach, guest, suggesting the guests invited to the Marriage Supper of the Lamb, which call or invitation goes out here in the end of the Gospel Age; Rev. 19:5-9) and the Youthful Worthies (Abed-nego, servant of the prophet; they are faithful servants of the Little Flock and Great Company in the end of the Gospel Age and will be the special assistants of the Ancient Worthies in the Millennial Kingdom on earth). God's faithful people in these three elect classes refuse to bow down to or worship the antitypical golden image of Militarism and also of Papalism and Federationism—the Beast and its Image (Rev. 13:4-17). 2 Tim. 2:20 shows that "in a great house [the great house of the typical high priest Aaron—Lev. 16:6; Num. 17:2, 3; 3:6-9, 17-20—consisted of his sons and the three typical classes of Levites, mentioned above; accordingly, in the great house of our Great High Priest, there are four classes antitypical of these] there are not only vessels of gold and of silver [representing respectively the Little Flock and the Great Company, the two elect classes in the heavenly, spiritual phase of the Kingdom; comp. Mal. 3:3], but also of wood and of earth [representing respectively the Ancient Worthies and the Youthful Worthies, the two elect classes in the visible, earthly phase of the Kingdom]; and [in addition to these four elect classes, there will be] some [of the world of mankind] to honor [in the times of restitution], and some to dishonor [the 'goats' of Matt. 25:31-46]." Psalm 45:1-17 gives a beautiful picture, showing, among other things, three of the four elect classes. Jehovah is introduced in v. 1 as the speaker, and Jesus as "the king." Jesus is then described in vs. 2-9, and the Little Flock, His Bride and Joint-heir, in vs. 9-14. The Great Company as the Bridesmaids, "the virgins her companions that follow her," are set forth in vs. 14, 15; and the Ancient Worthies ("thy fathers") as the children of the Christ in the Millennial Age, and as "princes in all the earth," over the restitution class, are mentioned in v. 16. The restitution class, "the people," are introduced in v. 17, separate from all other classes. The four elect classes of God's loyal people, who have walked by faith rather than by sight, constitute Abraham's elect seed, through whom all the families of the earth shall be blessed in the coming Kingdom on earth soon to be established; for "they which are of faith, the same are the children of Abraham," and "they which be of faith are blessed with faithful Abraham" (Gal. 3:7-9). Christ's reign of peace on earth is soon to begin. As God foretold through His Prophets (e.g., Isa. 2:2-4; Micah 4:1-4), "In the last days [in which we are living], the mountain [kingdom; Dan. 2:34, 35, 44, 45] of the LORD'S house shall be established in the top of the mountains [overtopping or overruling all absolute monarchies and similar governments], and shall be exalted above the hills [limited monarchies, republics, democracies, etc. ]; and all nations shall flow unto it [every nation or people will become subject to it—comp. Rev. 11:15; Zech. 14:16-19]. "And many people shall go and say, Come ye, and let us go up to the mountain of the LORD [become subject to God's Kingdom], to the house of the God of Jacob; and he will teach us of his ways [of truth and righteousness—1 Tim. 2:4; Isa. 26:9; 28:17; Psa. 67:4; 96:1-13; 98:1-9], and we will walk in his paths: for out of Zion [the heavenly, spiritual phase of the Kingdom; Christ and His 'little flock' of saints—Luke 12:32; Isa. 33:5; Dan. 7:13, 14, 18, 22, 27; Obad. 1:21; Rev. 14:1] shall go forth the law and the word of the LORD from Jerusalem [the earthly phase of the Kingdom]. "And he shall judge among the nations, and shall rebuke many people [during the great Time of Trouble (which broke out in 1914) and throughout the thousand-year Judgment Day, when 'the inhabitants of the world will learn righteousness'—2 Pet. 3:7, 8; Isa. 26:9]: and they shall beat their swords into plowshares, and their spears into pruninghooks [they will divert their resources, discoveries, inventions, etc., including nuclear power, from channels of human destruction into channels of blessing their fellowmen]: nation shall not lift up sword against nation, neither shall they learn war any more ['they shall not hurt nor destroy in all my holy mountain: for the earth shall be full of the knowledge of the LORD, as the waters cover the sea'—Isa. 11:9]." The great, unprecedented Time of Trouble, which has been upon the world ever since 1914, is but preparing the way (Zeph. 3:8, 9; 2 Pet. 3:7, 10-13) for the ushering in of Christ's glorious reign of peace. God declares (Haggai 2:6, 7) that in this great Time of Trouble He will "yet once" "shake all nations," after which "the desire of all nations shall come"; and in Heb. 12:27 He explains that "this word, Yet once more, signifieth the removing of those things that are [can be] shaken, as of things that are made [fabricated, false, not founded upon the principles of truth and righteousness], that those things which cannot be shaken [those things which are based upon right principles—particularly God's Kingdom, 'which cannot be moved'—v. 28] may remain." In Hosea 2:18 and Psa. 46:8-10, God foretells the destruction of the weapons of war and the eventual outcome of the Time of Trouble. He declares: "I will break the bow and the sword and the battle out of the earth, and will make them [mankind] to lie down safely." "Come, behold the works of the LORD, what desolations he hath made in the earth. He maketh wars to cease unto the end of the earth; he breaketh the bow, and cutteth the spear in sunder; he burneth the chariot in the fire. Be still [cease clamoring and fighting], and know that I am God [the Supreme Being]: I will be exalted among the heathen, I will be exalted in the earth [after the Time of Trouble mankind will be so humbled through the failure of their own schemes for bringing about disarmament, peace and security, that they will be ready to listen to God's voice (1 Kings 19:12), to learn of Him and to hear His Son (Matt. 17:5)]." But in this Time of Trouble, "their soul is melted because of trouble. They reel to and fro, and stagger like a drunken man, and are at their wits' end"; but soon, and more and more, will "they cry unto the LORD in their trouble, and he bringeth them out of their distresses. He maketh the storm [the Time of Trouble] a calm, so that the waves thereof are still. Then are they glad because they be quiet; so he bringeth them unto their desired haven [i.e., the Kingdom of God on earth]" (Psa. 107:26-30). Ezek. 38 and 39 (comp. Zech. 12) give a description of the final phase of the Time of Trouble, called "Jacob's trouble" (Jer. 30:4-8), in which various surrounding nations will seek to destroy the regathered nation of Israel. Ezek. 39:9 describes the resulting destruction of weapons: "And they that dwell in the cities of Israel shall go forth, and shall set on fire and burn the weapons, both the shields and the bucklers, the bows and the arrows, and the handstaves, and the spears, and they shall burn them with fire." Note also Zech. 9:10: "And I will cut off the chariot from Ephraim, and the horse from Jerusalem, and the battle bow shall be cut off: and he [Messiah, the Prince of Peace—Isa. 9:6, 7] shall speak peace unto the heathen: and his dominion [Dan. 7:13, 14, 27] shall be from sea even to sea, and from the river even to the ends of the earth" (comp. Psa. 72:1-20). Complete disarmament, peace and security, which mankind's plans and schemes have not brought about, and which they cannot bring about, will be realized during Christ's glorious thousand-year reign. Then the people will no longer learn to fight and destroy one another, as they are now doing and have done in the past, ever since the time of Cain, "who was of [the spirit or disposition of] that wicked one [Satan], and slew his brother" (1 John 3:12). Then they will live peaceably together, each seeking the other's welfare. Then "they shall sit every man under his vine and under his fig tree [everyone will have his own home and property and the fruit of his labors]; and none shall make them afraid" (Micah 4:4; Isa. 65:21-25); for then "the Prince of Peace" shall reign, and "of the increase of his government and peace there shall be no end" (Isa. 9:6, 7). "The whole creation groaneth and travaileth in pain together until now … waiting for the manifestation of the sons of God" (Rom. 8:22, 19). At the end of the present Time of Trouble, which will overthrow Satan's empire, with its symbolic heavens and earth (its false religious and secular powers), which will "pass away with a great noise" (2 Pet. 3:7, 10-12; Matt. 24:35; Rev. 6:14; 20:11), the "sons of God," Abraham's seed, will be manifested and will begin to bless all the families of the earth, both the living and the dead, for "many of them that sleep in the dust of the earth shall awake," when "all that are in the graves shall hear his [Jesus'] voice, and shall come forth" (Dan. 12:2; John 5:28, 29; Rev. 20:12—21:5). The literal heavens and earth abide forever (2 Cor. 5:1; Eccles. 1:4), but the symbolic heavens and earth of "this present evil world" are passing away. "We, according to his promise, look for new heavens [the spiritual phase of the Kingdom and its subordinate order of religious affairs] and a new earth [the earthly phase of the Kingdom and its subordinate order of social affairs], wherein dwelleth righteousness" (2 Pet. 3:13; Isa. 65:17; 66:22, 23; Rev. 21:1, 24-27; Zeph. 3:8, 9). Then "all the ends of the earth shall see the salvation of our God"; "and the glory of the LORD shall be revealed, and all flesh shall see it together" (Psa. 67:7; Isa. 40:5; 52:10). Christ will continue His Millennial mediatorial reign, "till he hath put all enemies under his feet. The last enemy that shall be destroyed is [Adamic] death" (1 Cor. 15:24-26; Hosea 13:14; Rev. 20:14). "And they shall teach no more every man his neighbor, and every man his brother, saying, Know the LORD: for they shall all know me, from the least of them unto the greatest of them, saith the Lord: for I will forgive [through Christ] their iniquity, and I will remember [against them] their sin no more"; "I will put my law in their inward parts, and write it in their hearts; and will be their God, and they shall be my people" (Jer. 31:34, 33). "A new heart also will I give you, and a new spirit [disposition] will I put within you: and I will take away the stony heart out of your flesh, and I will give you an heart of flesh. And I will put my spirit within you, and cause you to walk in my statutes, and ye shall keep my judgments, and do them. And ye shall dwell in the land that I gave to your fathers; and ye shall be my people, and I will be your God" (Ezek. 36:26-28). Then shall be declared the message (the "great voice out of heaven") saying (Rev. 21:3, 4) "Behold, the tabernacle of God [the Christ as God's meeting, dwelling and blessing place] is with men, and he will dwell with them [fellowship will be restored between God and the human race, as it existed between Adam and God before Adam's fall] and they shall be his people, and God himself shall be with them, and be their God [they will be in covenant relationship with Him as Adam was before he sinned]. And God shall wipe away all tears from their eyes; and there shall be no more death, neither sorrow, nor crying, neither shall there be any more pain: for the former things [all the effects of the curse upon the race as a result of father Adam's sin] are passed away [by the end of the thousand-year Kingdom reign of righteousness]." "And there shall be no more curse [the Adamic curse will have been fully removed]" (Rev. 22:3). (1) That Israel's symbolic "seven times" of punishment at the hands of the nations (Gentiles), among whom they were to be scattered (Lev. 26:18, 21, 24, 28, 33-45), are ended. (2) That during the Gospel Age Jerusalem (Israel) was "led away captive into all nations" and was "trodden down of the Gentiles, until the times of the Gentiles be fulfilled" (Luke 21:24), which fulfillment has been completed, this definite period of time having ended. (3) That the appointed time of Israel's "double for all her sins" (Isa. 40:1, 2; Jer. 16:14-18; Zech. 9:12) "is accomplished." (4) That as "the fullness of the Gentiles" comes in, the "blindness in part" that happened to Israel is gradually being removed and favor is gradually being restored to them (Rom. 11:25). (5) That God is now regathering Israel to their promised land, and favoring them, preliminary to the establishment of His Kingdom on earth, even as He had promised (Lev. 26:40-45; Psa. 22:23-31; 102:13-28; Isa. 2:2, 3; 14:1; Jer. 23:5-8; 24:6, 7; 30:7-11, 18-24; 31:8-12; 33:7, 10, 11; Ezek. 16:53-55, 60-63; 36:1-15, 24-38; 37:1-28; Hosea 3:4, 5; Joel 3:1, 2, 17-21; Amos 9:14, 15; Zeph. 3:10-20; Zech. 8:1-23). (6) That Israel would return to their promised land nationally before they would recognize their Messiah, before His Kingdom on earth is set up and the New Covenant is made with them (Ezek. 37:21-28; Zech. 12:10; Jer. 31:23-34). (7) That the time has come when "the fig tree" (Israel) and "all the trees" (the great and unprecedented number of nations that are now gaining independence) "now shoot forth" (prosper as independent nations) and that "when ye see these things [together with many other signs of the times in fulfillment of prophecy] come to pass, know ye that the kingdom of God is nigh at hand"; "then look up, and lift up your heads; for your redemption [deliverance] draweth nigh" (Luke 21:28-33). Thank God for His glorious Kingdom on earth, now so soon to come, and for which we still pray, "Thy kingdom come. Thy will be done in earth, as it is in heaven."